Despite breeders having explained over and over and over why they price their puppies a certain way, and despite us trying to think of ways to say that our puppies are not free, or that this is not a “job” for us or a way to make any money, the comments still have a marked note of disbelief. And that, really, is the root cause of the disbelief. It’s not that people are ill-meaning. It’s that they believe that there’s a real price for real dogs versus a vastly inflated price for vastly un-real dogs. They are on board with the fact that “we breeders” will pay thousands of dollars for a few of the best and most rare or beautiful dogs, because we are going to go on to show and breed them. But for regular people, aren’t there regular dogs who are born in regular homes and designed to go home with regular owners and for regular prices – let’s say no more than a few hundred dollars? The answer – and if you’re a regular owner, you need to hear me and BELIEVE me – is NO. Not anymore. That does not exist anymore. The way we think about dogs has taken a very abrupt turn, and we no longer believe that having puppies is part of what happens when you have dogs. 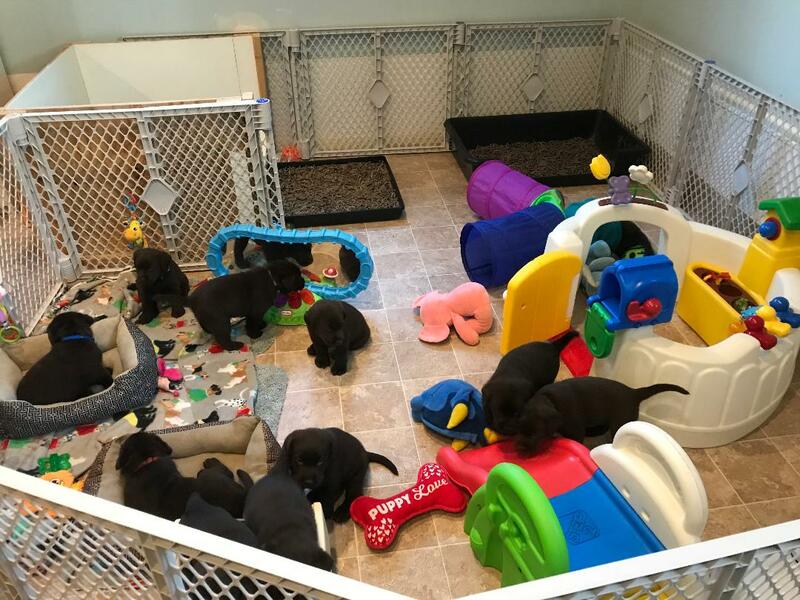 The “middle class” of puppy producer, the ones who had a few litters every time they got a new female dog until they got around to spaying her, is gone. The statistics of breeding, euthanization, and rescue are very clear. The puppies that exist now are all either planned by breeders or are the result of genuine carelessness or, worse, uncaring. The fact that the regular family puppy producer is gone is a good thing. It really is. Yes, the fact that they existed meant that it was easy to find a puppy whenever you wanted one, but that surplus of supply also meant that millions upon millions of dogs died every year. When the supermarket ad didn’t work and you had five four-month-old puppies pooping in your house, you dropped the litter at the shelter. Ten days later the shelter put them down, and the next day they put down another couple of litters, and the next day they put down some more. “Puppy season” used to be as torturous as kitten season, and just as deadly. So we should all be very glad that the bad old days are gone. Now that they are gone, we’ve got the situation that I introduced earlier: The puppies that exist now are all either planned by breeders or are the result of genuine carelessness or, worse, uncaring. I’m going to leave off the uncaring producers for the sake of the “how much do puppies cost” question, because those breeders are the ones who are still filling the rescues. The websites and ads that “regular owners who want regular prices on real dogs” are seeing are all by deliberate breeders, those who produced puppies on purpose and with the goal of selling them as pets. 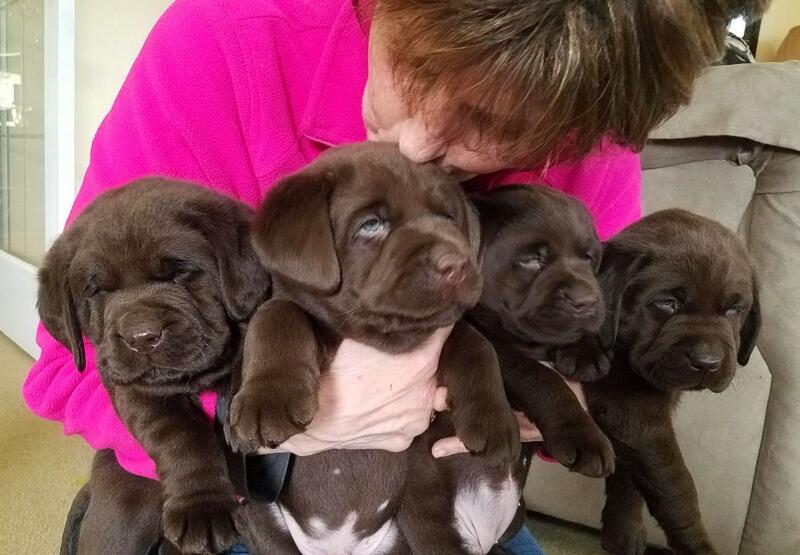 Sometimes the goal of selling is the primary one – the reason the puppies were born – and sometimes the goal of selling is a secondary one, after the best puppies in the litter are retained for working or showing or breeding. But either way, those puppies were made on purpose. Let’s catch up: You’re a regular person looking for a regular dog of the breed of your choice. You’ve realized that the vast group of middling-bred dogs that populated your childhood is gone. You decide you want a Cocker Spaniel, which you loved as a kid, and you go out to get one. You know that buying from a pet store is wrong. So you don’t even go there. You go to find a “reputable breeder.” What you see, when you start your research (online, of course) is a vast array of possibilities. All the puppies are adorable. You see cute purebred puppies with “champion lines” for $400, cute purebred puppies with “champion lines” for $800, and cute purebred puppies with “champion lines” for $1200. Those are the ones with prices visible. There are also a lot of websites that are obviously made by show breeders, and those don’t have any prices at all. 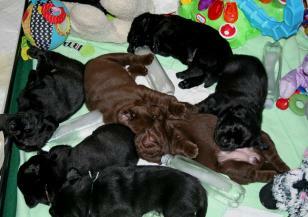 When you inquire from one or two, you’re told that their puppies are $1200, $1600, and $2,000. 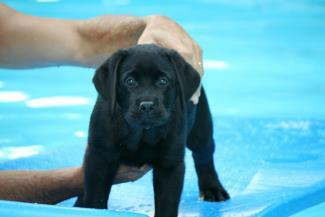 The temptation – and many would say logical conclusion – here is to say that the puppies for $400 are the ones to get. However, I’d challenge you to think of it a different way. Pretend you’re buying a phone. When you go in to a wireless store and sign up for the first of what will likely be an endless series of two-year contracts, you are given a choice of six phones. Two of them are free with your plan, two are $99, and two are $199. Pretend you’re buying a car. Stand in the middle of the Toyota lot and look around. You want a Prius. In front of you is one for $4,500, one for $12,000, one for $17,000, and one for $22,000. You qualify for all of them; the terms are all the same. Which one do you drive home? Virtually nobody is going to drive home the cheapest car, and most are not going to go for the twelve grand one either. I can predict with a high degree of certainty that one of the most expensive two is going to be in your driveway by the end of the day. Now WHY have you made those two decisions – about the phone and the car? The answer is: We know how much a reliable phone and car cost, and when a price is substantially lower we we regard it with suspicion, not happiness. Furthermore, we’re CORRECT to regard it with suspicion. A car that you spent $4500 on is going to incur a major repair bill within the next month or two. The free-with-plan phone is going to make you curse and throw it at the wall within a few weeks. And with both of them, because they were so cheap, you can bet your sweet bippy you are on your own. Welcome to the land of repair bills. So why – WHY – do we not learn the same lesson about dogs? Well-bred puppies are not “expensive.” They simply are what they are. Generally the cost of a well-bred puppy is between one and three thousand dollars, which is what you should expect to pay. For that, you should expect to receive a well-bred, well-raised, well-socialized puppy, and you should (I’m going to go ahead and say MUST) get the equivalent of the 12 years/12,000 miles warranty. You should expect that if this “phone” catches on fire – if the puppy ends up with a major, unforeseen problem – you are going to be taken care of. You should also expect a lifetime of support and help for all the things that come up in the normal daily life of the dog. Think of it as lifetime technical support. If you’ve got a limp or a training problem or something is worrying you, you should have a breeder helping you figure it out. If your potential breeder isn’t obvious about what support comes with the dog, ASK HER. The answer should be quick and complete. If the puppy costs less than is normal, assume that it comes with no promises, no predictability, and no support. Now go forth, and find puppies, and be awesome.